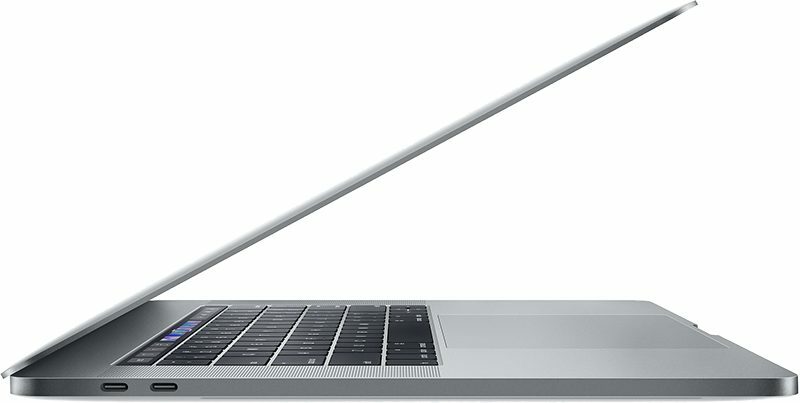 2018 MacBook Pro models feature the biggest yearly CPU performance gains since 2011, according to Geekbench founder John Poole. Geekbench 4 scores indicate the latest 15-inch models have a 12 to 15 percent increase in single-core performance, while multi-core performance is up 39 to 46 percent, compared to the equivalent 2017 models. A new 15-inch MacBook Pro with the best-available 2.9GHz six-core Intel Core i9 processor, with Turbo Boost up to 4.8GHz, has a multi-core score of 22,439, for example, a 44.3 percent increase versus a 2017 model with a then-best 3.1GHz quad-core Core i7 and Turbo Boost up to 4.1GHz. Likewise, for the latest 13-inch models, Geekbench scores show a 3 to 11 percent increase in single-core performance, and an impressive 81 to 86 percent increase in multi-core performance versus equivalent 2017 models. A new 13-inch MacBook Pro with the best-available 2.7GHz quad-core Intel Core i7 processor, with Turbo Boost up to 4.5GHz, has a multi-core score of 17,557, for example, an 83.8 percent increase versus a 2017 model with a then-best 3.5GHz dual-core Core i7 and Turbo Boost up to 4.0GHz. Poole attributes the increases in performance to additional cores, higher Turbo Boost frequencies, and the switch to DDR4 memory. 2018 MacBook Pro models feature eighth-generation Intel Core processors, with up to six cores on 15-inch models and up to four cores on 13-inch models, both firsts. The refresh marked the first increase in cores since 2011, when the first quad-core 15-inch MacBook Pro models were released. Interestingly, as Poole notes, the new 13-inch MacBook Pro with Touch Bar models are now competitive with 15-inch models from 2017 in both single-core and multi-core performance, essentially making it a smaller replacement. Poole also notes that these Geekbench scores are preliminary, and likely to rise over the coming weeks, as on brand new machines, macOS completes several setup tasks in the background that can temporarily degrade performance. He says these tasks vary and can take up to several days to be completed. 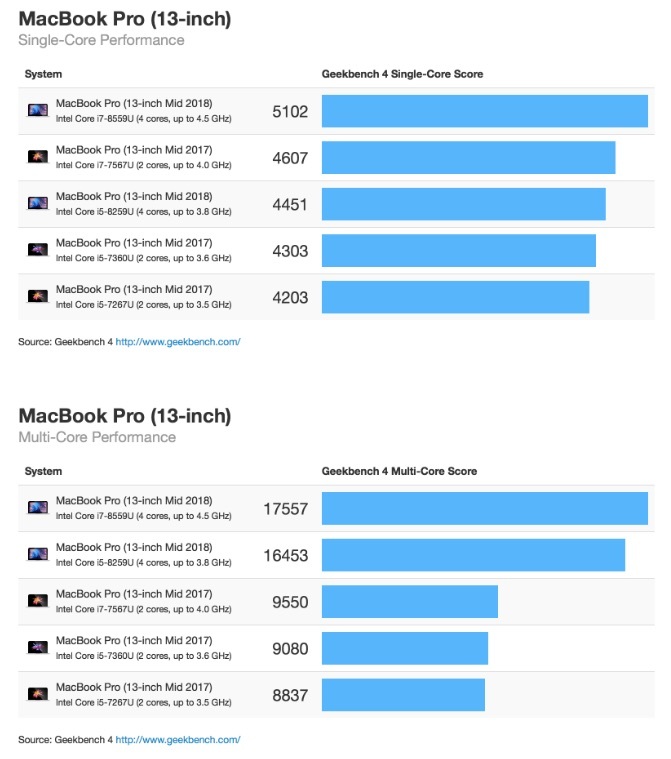 Apple advertises the new 15-inch MacBook Pro as up to 70 percent faster, and the new 13-inch model as up to two times faster, than the equivalent 2017 models, but Poole told MacRumors that other benchmarks may show different results than Geekbench. Performance in real-world usage will also vary. Geekbench 4 is a popular cross-platform CPU and GPU benchmark from Primate Labs, with apps available for Mac and iPhone and iPad. Let’s face it. The MacBook Pro lineup got a great update with very little to complain about...though, people still will (and have). So, Intel has one of the biggest year over year performance gains since 2011 in their 8th gen processor lineup, and the MacBook Pro which uses Intel's new 8th gen processors has the same performance gains? Wow didn't see that one coming. Hmm but what will all those “professionals” complain about now that their word processors start up quicker? I’m sure the majority of professionals were really struggling without the 32gb ram and six cores . If you're using Microsoft Office, even the latest MacBook Pro won't make it launch quickly. A gaming laptop from 2017 with a mobile GTX 1070 and 5.9 TFLOPS smokes the most expensive 2018 MBP with a 560X and 2.6 TFLOPS. Heck, even the most powerful iMac with a 580 has 5.5 TFLOPS (and the BlackMagic eGPU). That’s probably why they’re not called MacBook Game. This says nothing of graphics performance, of course. That's all well and good, now take the machine and plug an HDMI cable into it. Still 7,500 points slower in multi core than an A10X in the iPad Pro. 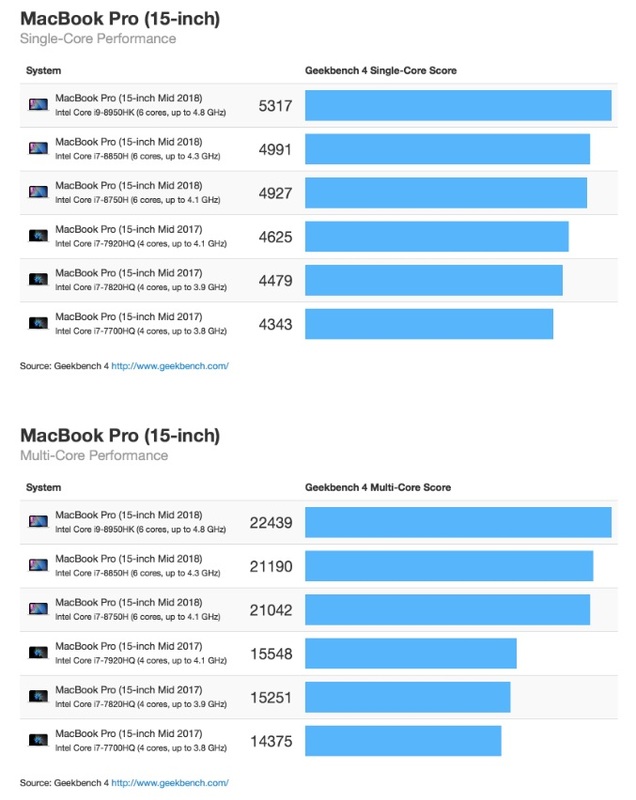 Um, the A10X in the iPad Pro scores a 9309 multicore score, while these MacBooks are scoring well over 16000. You must've confused metal scores with multicore scores.